The Dragon is one of the many Pistols in the Evolution: Battle for Utopia game. Fighting against the assassin girls called Vipers I`ve managed to get a real trophy – this pistol shooting with incendiary ammo! 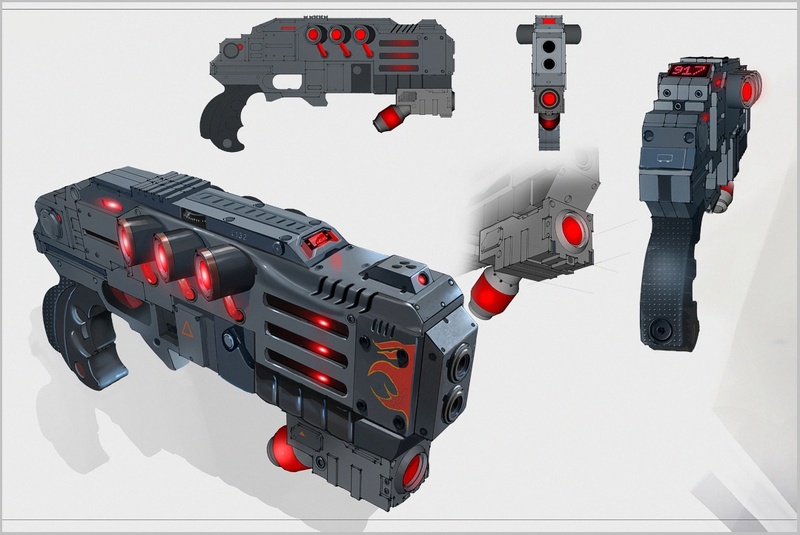 The Dragon Pistol can deal 56/91 (Min/Max) of damage, has 6/16 (Min/Max) of magazine size and 0/10 (Min/Max) of critical chance. 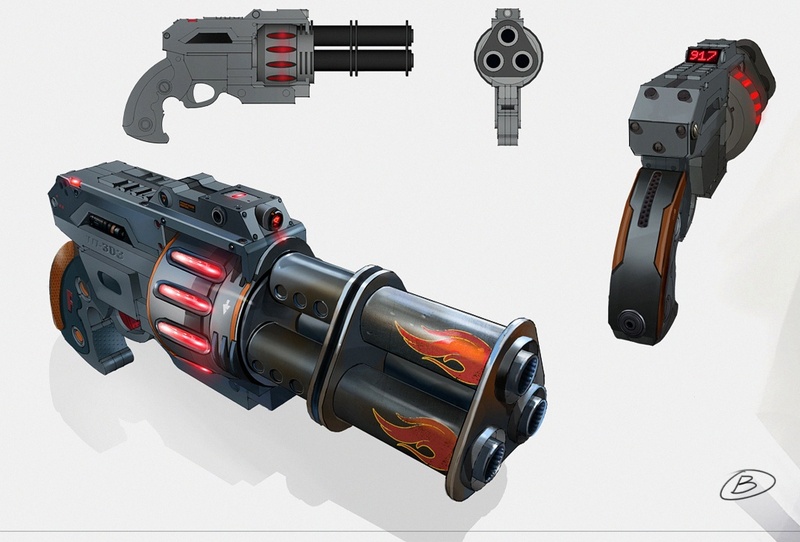 Dragon Pistol can be upgraded or dismantled at your Workshop. Full upgrade cost for Dragon Pistol is 9750 , 4875 , 240 , and 03:42:00 of time. Is this pistols damage the same as regular pistol’s damage? Or 56 of incendiary damage is more than 56 of regular damage? So, after I have this one, there’s no point on researching Cobra and producing it, right? I can now focus my resources in fully upgrading this one, right? Ok, thanks a lot for the tips! The fire rate from Dragon looks good so far. But I don’t know about Cobra’s because I haven’t researched it. You can find information about fire rate and reload speed at this page. I’d choose Dragon for armorless enemies. It’s a good pistol. The next good pistol against live enemies you can find at Blockpost location (it’s a Pegasus). I just managed to make a hit of 306 with my Dragon Pistol fully upgraded and with Attack Mode On (20% -30%)… That was a nice shot! Unfortunately I don’t have a screen shot of it. 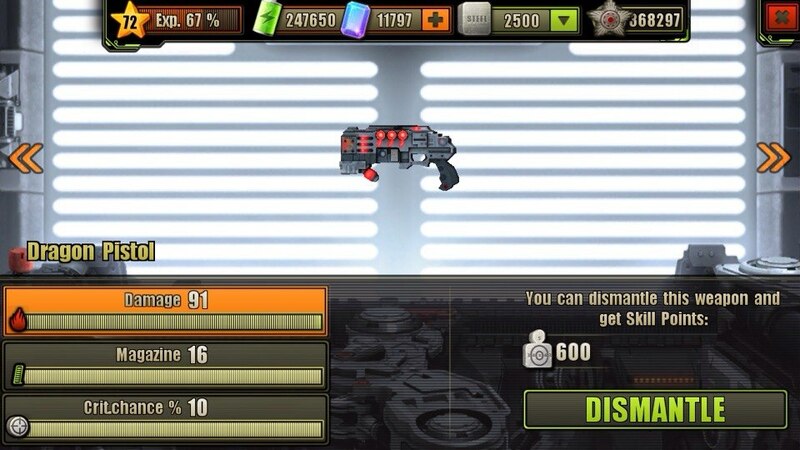 Гудвин, Pegasus will be my next goal… Can UFO Pistol be purchased with gems or is it unlocked somewhere in the game? UFO pistol you can find at the UFO’s crash location. It’s a secondary location, unlocks on the Blockpost. But as you come there you can get 47 level and just buy M5 pistol. It’s much better choice. In UFO’s crash you also can get an Alligator assault rifle. It’s great. Ok, I’m already upgrading my Acid Pistol. I’ve just completed the 3rd Damage upgrade. Still missing a lot to complete it. I only have enough medals but Crystallite is a hard resource to gather! And I think that UFO’s Crash site is still far away from where I’m now! It is nice but eats up too much skillpoints..